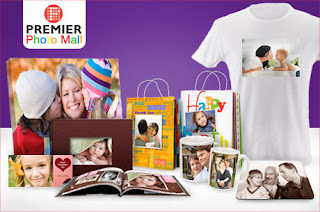 Pay $15 for $50 worth of calendars, T-shirts, albums and more photo gifts from PremierPhotoMall.com. Create and customize albums, calendars, canvas wall hangings and more. Instead of sending the same chocolates this valentine's day, serve your sweetheart's morning coffee in a panoramic photo mug. Or commemorate your annual family ski trip with a custom-made photo book or a cute poster collage. The options are limitless! We have no doubt you'll experience a lot of photo ops this season. With Premier Photo Mall, those once-in-a-lifetime shots can become even more picture perfect. New members can get this deal for just $13 when they use their $2 credit.